There's a new video up for The People's Showdown yoyo trick video contest...this semi-final round pits Andrew Maider against Michael Ferdico. 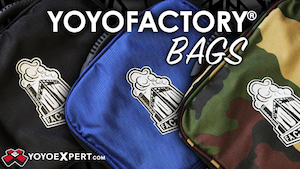 Vote for your favorite at the link below! There’s a new video up for The People’s Showdown yoyo trick video contest…this semi-final round pits Andrew Maider against Michael Ferdico. Vote for your favorite at the link below! Voting ends Monday at noon EST. Josh Yee dropped a couple of his “Trick Moment” videos, featuring perennial favorites Michael Ferdico and Keiran Cooper, and they’re pretty awesome. In a rare moment of cosmic justice, it would appear that the music for Ferdico’s video actually matches his shirt, which we didn’t think was possible. Ferdico is one of the most talented unsponsored players out there, super underrated and pretty awesome to hang out with. And Keiran’s spot on the Recess team is damn well deserved both for his tricks and his video work. Really, this is an awesome double feature. Thanks, Josh! 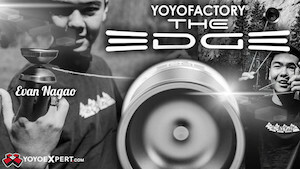 Yoyos used are the C3yoyodesign Teleport (Ferdico) and the Recess Weekend (Cooper).